Typical repairs, grips, shafts, extensions, new heads, and lie and loft adjustments can be completed within one day. We can replace shafts in virtually any club giving that favorite set of clubs new life. Step up to our Rifle Project X and True Temper Dynamic Gold steel shafts, or Fujikara, Swing Science, and Mattiace graphite shafts. We will fit you with a kids, ladies, senior, regular, firm, or stiff flex. 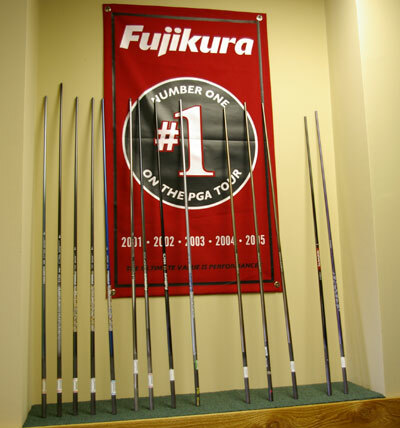 We are an authorized retailer for Fuji Pro Shafts. We carry a wide and ever-expanding range of pro grips for every level of player - including Golf Pride, Winn, and Lamkin grips.